Your started files will not be deleted. 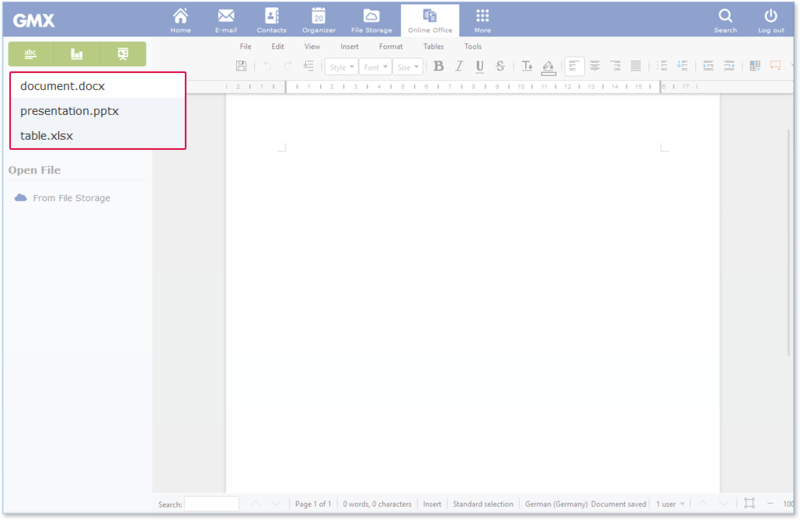 You can work on multiple files in Online Office simultaneously. You can work on up to five files at the same time. To work on multiple files at once while you are working on a file, click on any of the create symbols to create either a text file, a table or a presentation. Click the file name in the tab bar to get to your specific file.